As October 31st draws ever nearer, nothing helps get a home or workplace into the autumnal spirit quite like a well-carved pumpkin. Like all other fruits and vegetables, pumpkins will rot as time passes. Rotting organic matter, especially in such a large form as a pumpkin, can produce noxious odors and attract unwanted pests to your porch or lawn. Luckily, a few simple tricks using common kitchen materials may help to extend the life of your jack-o-lantern and keep the fall spirit strong even after Halloween has ended. When you have finished hollowing and carving your pumpkin, submerge it completely in a large container of water with one teaspoon of bleach per gallon. The bleach can help to kill bacteria inside and on the surface of the pumpkin and help to keep it fresh longer. After about 8 hours have passed, flip the pumpkin over to let the bleach drain out. Once completely dry, add 2 tablespoons of vinegar and 1 teaspoon of lemon juice to a quart of water. Brushing this solution onto your pumpkin at regular intervals can help maintain the color and strength of the pumpkin skin for weeks! Use the right tools. Consumer Reports tested pumpkin-carving kits a few years ago and observed that one advantage of the specialty tools—readily found online and in convenience stores—was that they can saw through rinds, poke holes, and scoop out innards without being razor-sharp. The instruments were also generally small, which made them easier to control than knives and easier to use when making intricate cuts. Carve before taking off the top of the pumpkin. 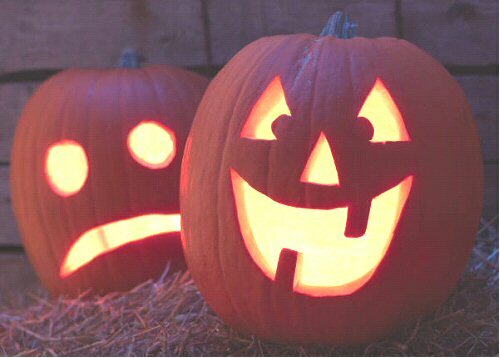 If you carve first, you won't be tempted to put your hand inside the pumpkin, which is when many accidents occur. Take precautions. That means carving in a clean, dry, and well-lit area, keeping your hands and tools clean and dry, and taking your time. Don’t let kids carve. 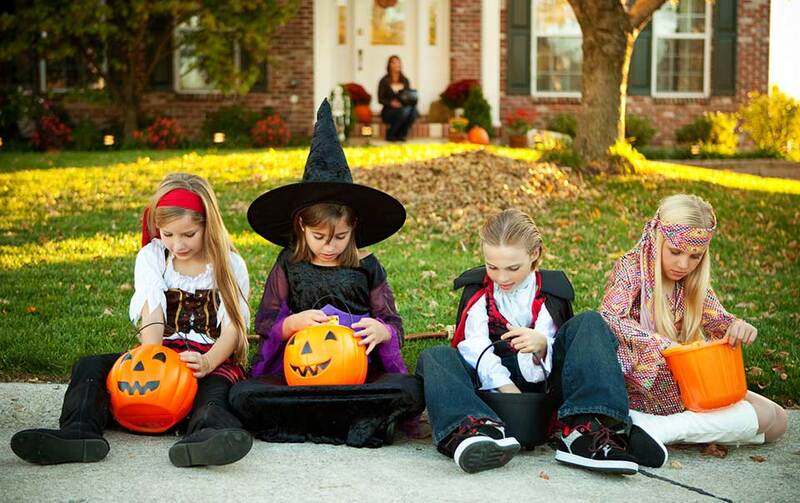 The Pediatrics study found that most Halloween accidents happen to kids ages 10 to 14. So don’t let children 14 and younger do the actual carving. Instead, have them draw the pattern with a marker and clean out the pulp and seeds with their hands or a spoon—but make sure an adult does the actual cutting. It’s important to supervise older teens, too. Halloween or Hallowe'en (a contraction of "All Hallows' Evening") is also known as All Hallows' Eve. It is a yearly celebration observed in a number of countries on October 31. 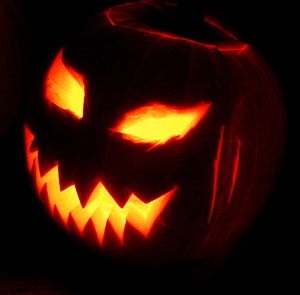 The difficulties associated with maintaining the quality of a jack-o-lantern are examples of manageable risks, which by careful planning can be avoided to some degree. Likewise, the risks involved with pumpkin carving safety are also manageable, by taking certain precautions at all times. To learn more about managing the risks in your life, give us a call, or contact us online. Learn about personal insurance here. Read another blog on Pumpkin Carving Safety. It's that time of year again- the decorations are out, costumes and candy are being purchased, and the nights grow colder and spookier. What more could you want? -Make sure you can see. 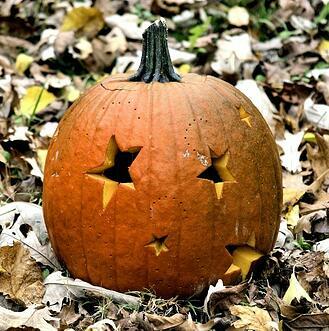 Although this might sound ridiculous, you should not carve your pumpkin in the dark. You must have full visibility of everything and everyone around you. You wouldn’t want to accidentally cut someone else’s finger. -Don’t slip up. Pumpkins are filled with pulp, pumpkin juices, seeds, and all that jazz, so a slippery surface comes with the job. Dry off everything as much as you can in order to avoid a slippery knife. -Know your tools. Obviously, you will be using knives to carve out the pumpkin. Do not let young children use knives. Make sure that the knives are sharp enough to cut the pumpkin, but not dull enough to not work. If the knives don't work, there is a chance that a.) the knife will break or b.) you will break. -Kids and knives do not mix. You should never leave children unsupervised when it comes to carving. Even with the older crowd, make sure someone responsible is there. 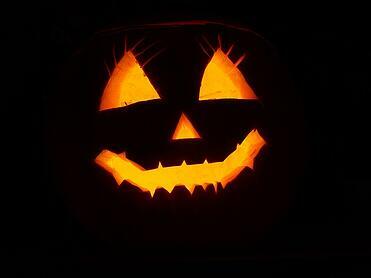 We recommend that younger children trace the design of their pumpkin and allow the adult to carve. That way, they get the fun of designing a pumpkin, but avoid the risk of injury. -Where should you carve? Not on your lap. You should always carve on a smooth, horizontal surface. Carve the top of the pumpkin off only after you have carved the face- this way, you avoid the temptation of holding the pumpkin on the other side and slicing your fingers. -Light the way. Use battery-powered candles. These candles give off the same illusion without the risk of starting a fire. Plus, you can use them for years! 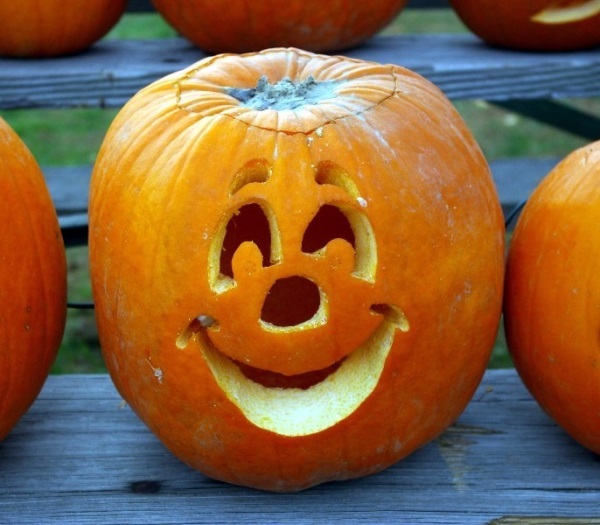 We hope you keep these tips in mind as you enjoy the pumpkin carving/Halloween season! If you have any questions about insurance, don’t be afraid to contact us. (We aren't as scary as half the Halloween costumes out there!) Learn more about personal insurance here. Halloween can be a fun time for kids and adults alike. Trick or Treating, Costume Parties, Bobbing for Apples… the fun never seems to end. 1) Check the labels on your kids’ costumes to be sure they are fire proof or at lease fire retardant. 2) Always have an adult or older sibling accompany young children when they go trick or treating. 3) Consider applying reflective tape to your child's costume. 4) Equip your child with a flashlight or other light device. And of course, there’s all that candy! While most people enjoy providing treats for the tricksters, there are those devious individuals who do intentional harm. We’ve all heard the stories of razor blades in apples, alcohol or drugs injected into apples or oranges and of course the poisons added to candy. Your best bet is to advise your child not to eat any of their treats until you have a chance to check them out (good luck with that!). Better yet, why not host a Halloween party in your home where you have control of what is eaten. Giving prizes for the best, worst or scariest costumes, bobbing for apples, etc. are all sure to keep the kids happy AND SAFE! And for scarily helpful resources and insurance information, visit our website or get a quote. Happy Halloween from A G Gordon, Inc!